Skids on a scoot’? Sounds good to us! The X-ADV is refreshingly unique. Honda can be pretty good at providing answers to questions that seemingly no one has asked. They gave the world the DN01 – dubbed the ‘Do Not Own 1’ – and don’t even get us started on the NM4. Now that the X-ADV has finally been made official, it seems Honda is adding another scooter to its oddball group. Except this time, it actually makes sense. Last year, five of the top ten selling ‘motorcycles’ in Europe were scooters. In fact if you look at motorcycle sales worldwide, scooters far outweigh their ‘clutched’ brethren. Honda know this and they also know the roads outside of most European cities can be dicey. 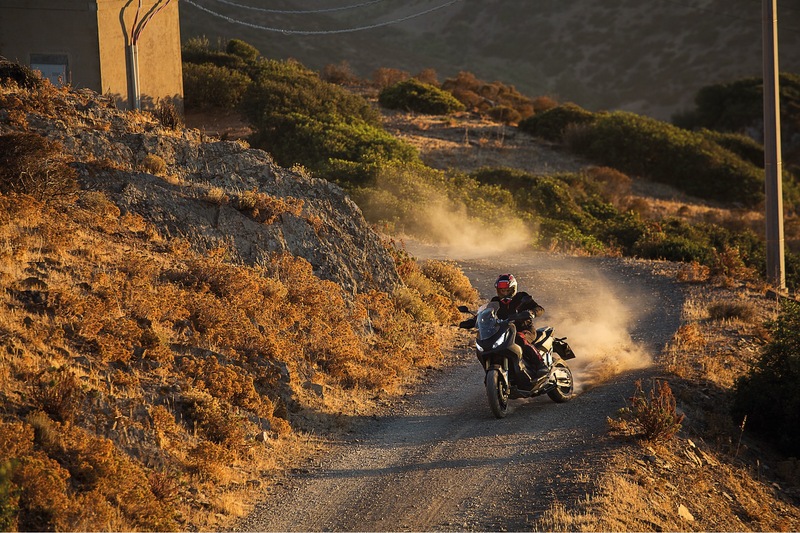 Which is why their Rome based engineers designed the X-ADV to, in their words, “reinforce a rider’s innate desire to cut loose, to travel and enjoy new experiences”. Simple translation? They’ve built a scooter that will be comfortable outside the confines of a conventional scooter. 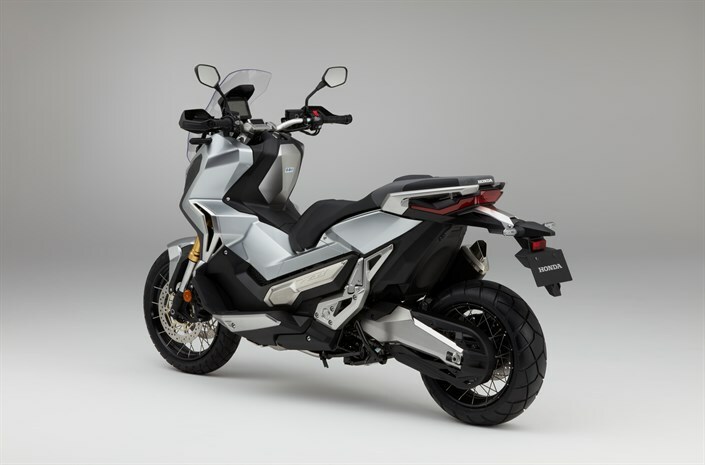 Based around Honda’s Integra scooter, the X-ADV runs the same 745cc parallel twin and six-speed dual clutch transmission (DCT) with chain final drive. This is no bad thing, especially when you consider the 270 degree parallel twin makes 54hp at 6,250rpm and 68Nm at 4,750rpm. Not bad for a scooter, until you factor in that the X-ADV is huge. How huge, I hear you ask? Try 240kg with a seat height of 820mm and a wheelbase of 1,590mm! That wheelbase is 80mm longer than BMW’s R1200GS, by the way. If you think the X-ADV looks long, that’s because it is! Its wheelbase is 80mm longer than BMW’s R1200GS! 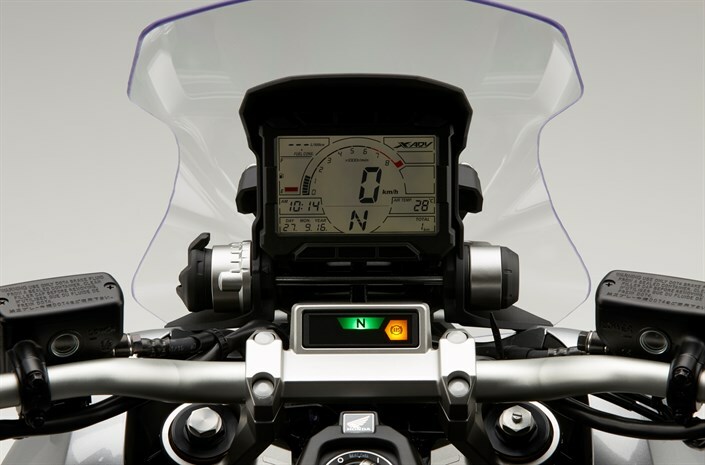 There’s as much to take in when you’re on the X-ADV as off…Is it just me or does this make the Africa Twin’s dash look a little weak?! The X-ADV is no more conventional once you’ve climbed on board either, with a “CRF450 Rally-style instrument display” which makes Honda’s ‘proper’ big off-roader, the Africa Twin’s, look a bit weak! The instrument cluster features a tach’, outside air temp, trip meters, fuel gauge and gear position indicator. 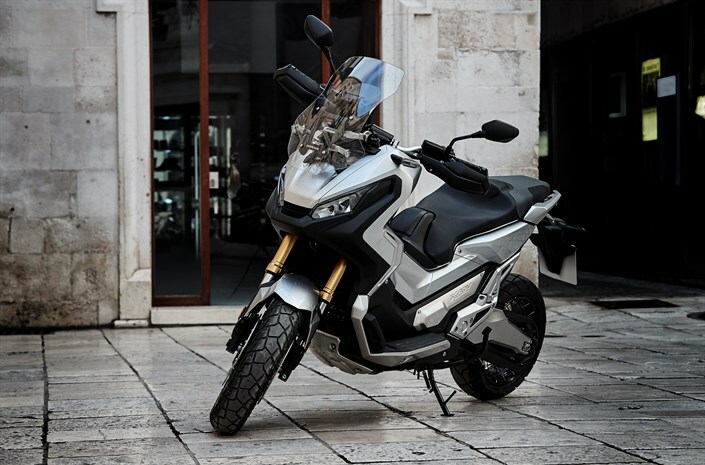 That last one’s interesting on a scooter, as the X-ADV uses a 6-speed DCT, which allows riders to choose automatic or manual modes, changing gears manually by buttons mounted on the wide (910mm) handlebars. 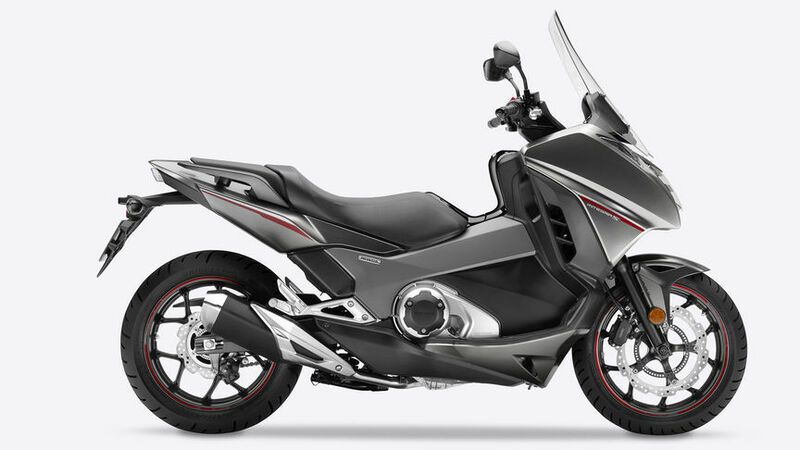 As with all good scooters, the X-ADV has enough room under-seat for a full-face helmet but Honda will offer all manner of top box madness to complete the long urban way round look. The X-ADV in its natural habitat? Now let’s cut to the chase. The X-ADV isn’t for everyone, hell it’s not even going to be for most people. 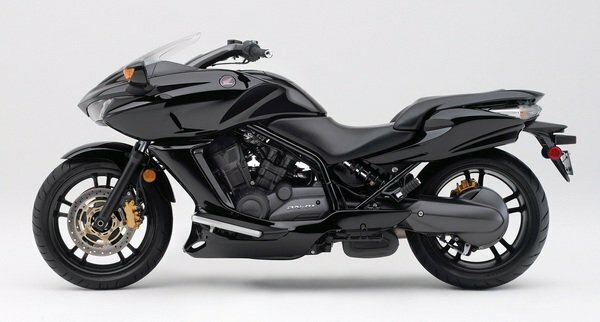 But credit to Honda for producing a truly unique bike, that I’m sure will become a common sight in up-market areas of European cities. While there have been no price figures release as yet, lets not forget that BMW’s massively expensive C600 maxi scooter found over 4000 homes last year at almost £10,000. So while you might not have asked where all the off-road capable scooters are, Honda thinks enough people have to warrant the X-ADV and we’re glad they did.